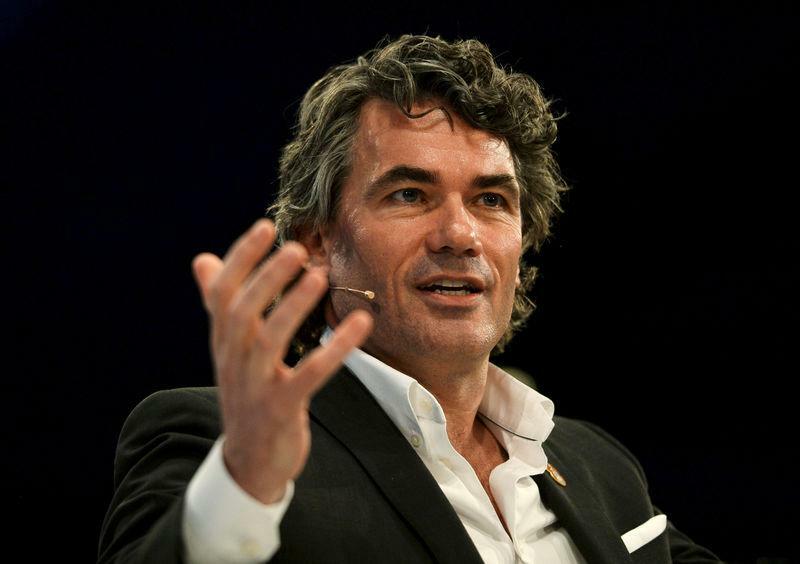 LONDON (Reuters) - BT Group's Chief Executive Gavin Patterson will step down this year after its chairman said a new leader was needed to restructure Britain's biggest broadband and mobile provider. Jan du Plessis, former chairman of mining group Rio Tinto who took the same role at BT last November, said the board supported Patterson's strategy but it did not have confidence in his ability to see it through. "The broader reaction to our recent results announcement has ... demonstrated to Gavin and me that there is a need for a change of leadership to deliver this strategy," he said. A search for Patterson's successor has started, the company said, and it expects to have his replacement in place during the second half of the year. Analysts at Bernstein said it was no secret that Patterson was under immense pressure, but added that the timing of the announcement was "highly puzzling and worrying". "While the markets are likely to receive the news positively (...) it does beg the question as to why the transition was announced after the company launched a fundamental transformation programme flanked by a reorganization of the management structure with new appointees," they said. He was "immensely proud" of what had been achieved at the former telecoms monopoly, in sports broadcasting, mobile and a hard-won agreement with the regulator to keep hold of its networks business Openreach. Patterson received a total of 2.3 million pounds ($3.1 million) in the year to the end of March, according to the company's annual report -- basic pay of 997,000 pounds plus a 1.292 million pound bonus. He had missed out on a bonus in the previous year after a number of setbacks. Patterson was also embroiled in fractious talks with Britain's telecoms regulator Ofcom about the fate of Openreach, which runs the national broadband network.